Invite a friend and join us for a fun filled afternoon with our guest speaker V’Ann Luedke Giuffre of Ageless Grace as we celebrate our Club’s Past Presidents and support The Big Event at Texas A&M and The Ronald McDonald House of Fort Worth. Reservations can be made at the February or March Monthly Meetings or print the Big Event Reservation Form below and mail in with payment by March 18th. Online Payment feature to be added in the near future. 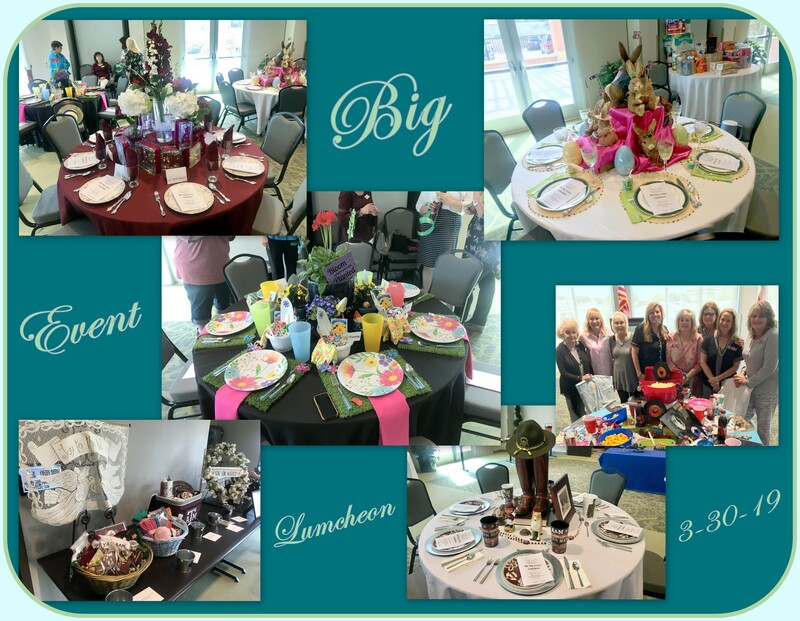 If you would like to be a Table Hostess at the Big Event Luncheon, please contact Melanie McCune at: melaniemccune@yahoo.com by March 18th. Table Hostess – What does a Big Event Table Hostess have to do? As a Table Hostess, you come up with a Theme for your table, then plan how to decorate your table based on that theme. 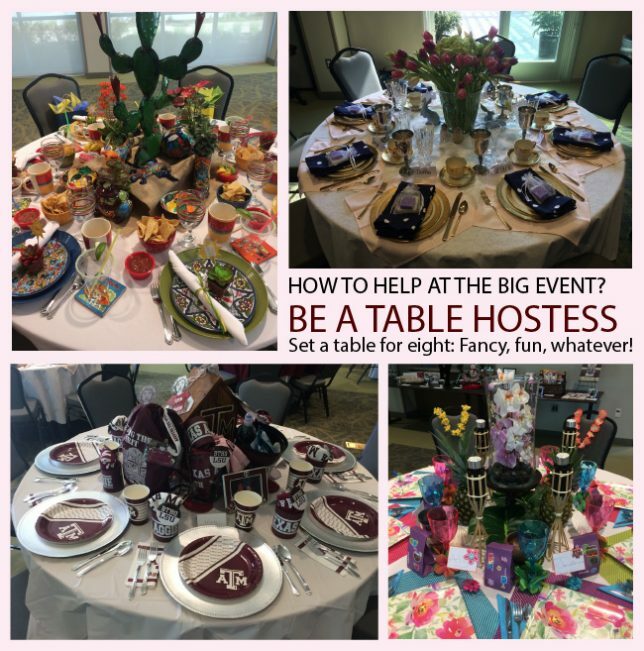 Feel free to team up with another Aggie Mom as a co-hostess! –One fabulous centerpiece that illustrates your theme! Aggie Moms’ Club will provide the food, drinks, plastic dinner and dessert plates, and cream, sugar, lemons, salt, pepper, butter as needed. The Big Event is all about giving back to the community. In years past, Table Hostesses were assigned a certain item from the Ronald McDonald House wish list to have each table guest bring to the luncheon, to be donated to the RMH of Fort Worth. We will continue with this tradition, although we may give back to an expanded list of community organizations. About two weeks before the event, Table Hostesses will be asked to provide a short write up about their table theme for inclusion in the luncheon program. Table Hostesses will have approximately 2 hours before the event to set up their tables. Being a Table Hostess is a fun way to show off that beautiful china that never gets used, those special knick-knacks you’ve collected over the years, or to celebrate your favorite season – just let your imagination and creativity guide you!